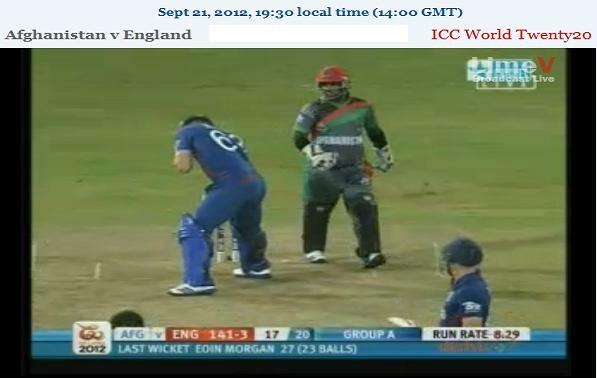 Watch T20 Cricket World Cup Online : Live Stream for Free | Free Pc to Phone Calls, Free Voip Calls to India International ! World Cup T20 is on and all the cricket Fans are enjoying the matches. It is one of the most watched tournament in many countries (specially India). Though many people are able to watch the matches live on their TV (at home, sports bar, friends house etc), however still a lot of people are not able to watch these matches (because the channel does not broadcast in their country or it is very costly). So this leaves them with the option to track the score of matches at some sites like (cricinfo) ? Well the answer is No. You can stream the matches live on your computer and watch these online for free. Today we will look at some options (some website) where you can watch these matches online, i.e Live Streaming of T20 World Cup Matches. Yeah, everything is legal and the ESPN itself is doing live streaming of these matches. The good news is that it is offering free live streaming of all World Cup T20 matches from 18th September to 7th October. All you need is flash enabled browser and you can watch the match online (for free) at following link. The picture quality is not that great, however it mostly depend on your internet connection speed (it kinda works ok for me). Turns out that espnstar is not the only service which is offering the live streaming of the world cup matches. You have another option in name of extracover. 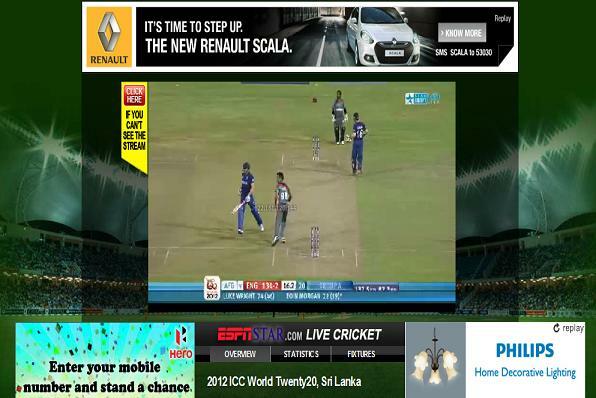 The websites is full of ads, but still you can watch the match live for free. The website also has a chat feature, where people (online on the website) can chat with each other and discuss about the match. Again a similar site like extracover. You will see the current ongoing matches and a list of servers where you can watch the match live. Just click any of the server and another window will open up. You may see some message like "not supported for your browser", but that will go away within few seconds. Just wait! The picture quality turned out to be pretty good and better than above two options (quite surprising for me)! 1. Cricpk.com : The website is full of Ads, not recommended to watch the matches. But still if the above options does not work for you then you can try. 2. Webcric.com : They say that they also show the match online, but it did not worked for me.